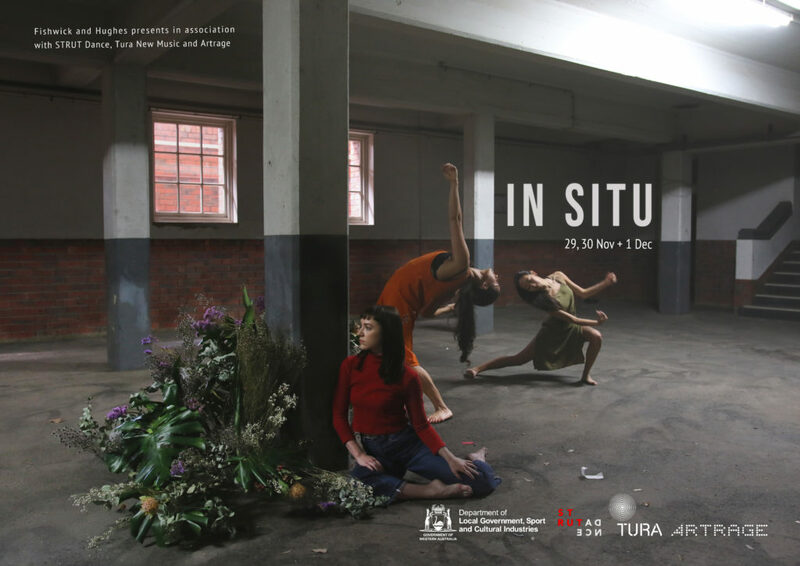 In SITU – A Dance Platform is an annual season of original site-specific works from WA independent dance artists. This year, In SITU is staged in the hidden corners of the Girls School Creative Precinct. A blend of sound, dance & architecture, come along on a journey of discovery in this historic site. This is an intimate and roaming show, with only 30 audience members at a time. Curated and presented by Emma Fishwick and Kynan Hughes in association with STRUT Dance, Tura New Music & Artrage, In SITU is part of an ongoing commitment to nurture the development of local artists. Choreographers Featured: May Greenberg, Natalie Allen, Sarah Chaffey, Serena Chalker and Dean-Ryan Lincoln with Tahlia Russell. Composers Featured: Rebecca Riggs-Bennett, Ryan Burge, Steve Paraskos and Dane Yates.